Zugo’s Café is providing the food for the MWTR Pasta Dinner sponsor this year. The dinner, which is open to participants, family and the general public, will be held in Kersting Court from 5:30P to 7:00P. The price will be $7.50 per person, with proceeds given to Sierra Madre Search & Rescue. MWTR souvenirs will be available to purchase at the dinner. Items include clothing, stickers, headwear and previous years’ shirts. Also on Friday night, you can win some cool stuff by participating in the opportunity raffle. The raffle is open to all and tickets will be sold for $1 apiece or 6 for $5. Proceeds benefit Sierra Madre Search and Rescue. If you want to get involved with the race, the Mount Wilson Trail Race Committee is still in need of some help in setting up Kersting Court on Saturday morning. Many committee members who are planning to run the race will be out there at 4:00A or 5:00A to drag stuff around and assist with whatever needs to be done. The Committee would love your help, starting at 5:00A and continuing until the time we break down Kersting Court at noon. To sign up as a volunteer please visit the City of Sierra Madre’s website. All of the race related volunteers opportunities can be found there. If you have any questions please contact Adam Matsumoto with the City of Sierra Madre at amatsumoto@cityofsierramadre.com. 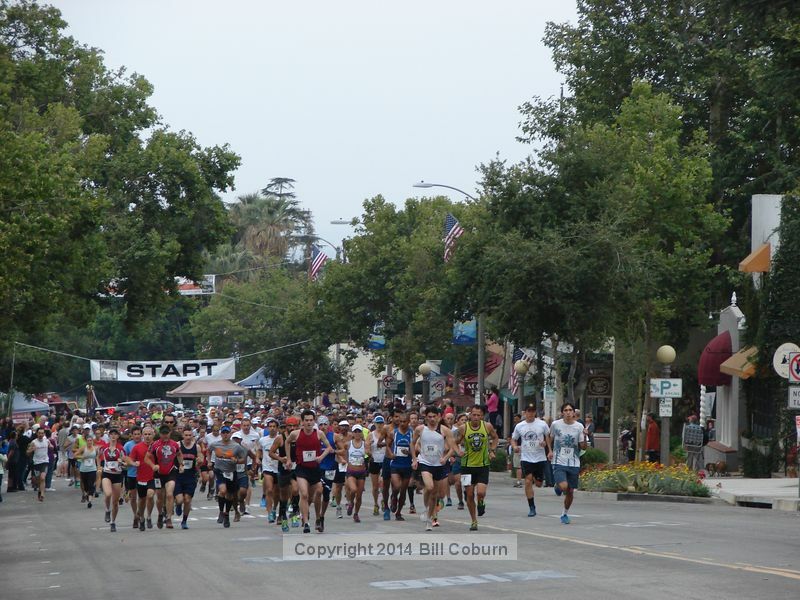 RACE DAY ACTIVITIES – OPEN TO EVERYONE! All activities the day of the race, May 23, are open to everyone. Nothing provides runners a greater boost of energy at the end of the race then a street lined with a cheering crowd. Race day spectators can peruse the wonderful selection of MWTR souvenirs, the various booth sponsors that provide information on health, fitness, history and everything in between. The City’s local bike shop, Centric, has donated a SUB SPEED 40 from SCOTT Bikes that will be raffled off on MWTR Day with proceeds benefiting the Sierra Madre Search and Rescue team. One of the missions the MWTR Committee has is to promote fitness and wellness in our community, for all ages. To that end, the 10th annual Kids’ Fun Run is on Saturday, May 23, at 7:45am, immediately following the start of the adults’ race. The event is free to register your kids from 3 to 12 years of age. Two different distances will be offered, using the same start and finish line us older guys will be using. The first 250 youth to sign up will receive a T-shirt featuring the artwork of Christine Manoukian, the 2015 Kid’s T-shirt Design Contest Winner. Registration can be done during the Pasta Dinner on Friday, May 22nd from 5:30-7:00pm or the morning of the race on Saturday, May 23 from 7:00am until race start. All participants must complete a waiver at the registration table prior to participating. It’s never too early to grab a refreshing beer from the MWTR beer garden in Kersting Court. No matter if you are a runner who’s just completed the race, or a spectator enjoying the festivities the beer garden is open to all! Proceeds from the beer garden support the Sierra Madre Search and Rescue team. For additional race information, please visit www.mountwilsontrailrace.com.